Crystal CAL (Comet Argent Light) 5328 Bicone Swarovski Crystal Beads 4mm. 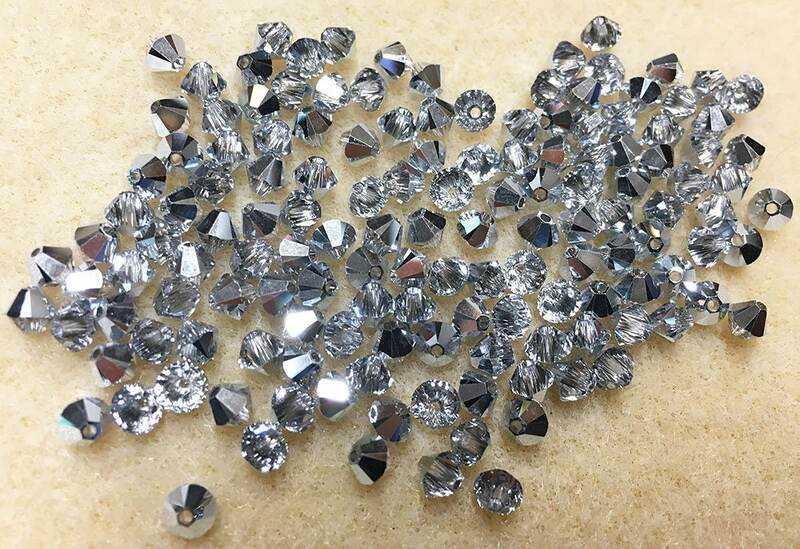 Bag of 24 Crystal CAL (Comet Argent Light) 5328 bicone shaped Swarovski crystals measuring 4mm. I love these beads and they were shipped quickly! So pretty! I will have to get more next time.